A member of the sales support team at one of the UK’s leading commercial nurseries in Hereford has recently been awarded a British Empire Medal in the New Year’s Honours List (January 2019). Karen Jones, who works at Wyevale Nurseries, received the medal for her long and dedicated service to Kingsland Cub Scouts in Herefordshire. Karen, who is married with three children, has worked for Wyevale Nurseries for more than 30 years in the company’s sales office. 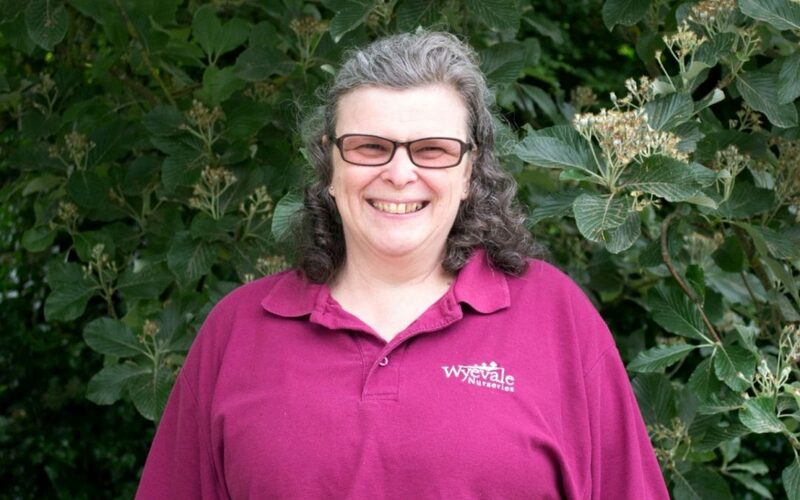 Andy Johnson, Managing Director at Wyevale Nurseries, which is a family-owned wholesale grower, said: “We’re delighted for Karen, this is a wonderful honour and a testament to all her hard work in the community. Wyevale Nurseries is a member of The Three Counties Agricultural Society, which issues medals to people who have completed continuous service to horticulture or agriculture with the same employer or holding company. For further details about Wyevale Nurseries, which is based in Hereford, please call 01432 845 200 or visit www.wyevalenurseries.co.uk.